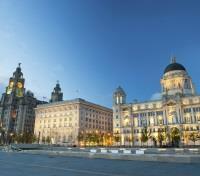 Discover the birthplaces of English icons; The Beatles, Shakespeare, and Winston Churchill. With a private guide, explore historic Cambridge, Oxford and the Cotswolds. 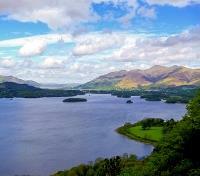 Cruise through England’s beautifully picturesque Lakes District. 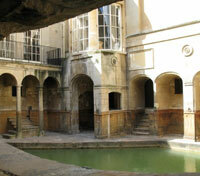 Stroll amongst ancient Roman relics in the town of Bath. Private guides, transfers, and 5* luxury accommodations throughout. Take a trip through time down England’s opulent history, discovering peaceful countryside towns and London’s extravagant side along the way. 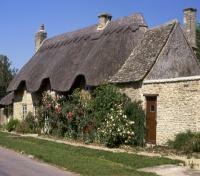 This tour combines lesser-known historical gems with all of the highlights that England has become known for. 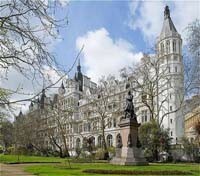 London is host to an array of world-class museums, which you are free to explore and enjoy at your leisure. Many museums in London have free entry, and are accessible via the London Underground (the Tube). 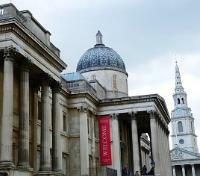 For your convenience, here are some of the more prominent museums in the city, and their corresponding Underground station: The British Museum (Holburn station), The National Gallery (Trafalgar Square, Charing Cross station), the Victoria & Albert (South Kensington station), The Wallace Collection (Bond Street station) or the London Transport Museum (Covent Garden station). 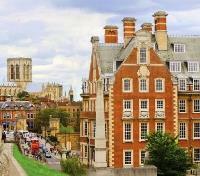 Depart London with your private driver-guide, stopping in Cambridge today for a private tour as you transfer to York. Cambridge is most widely known as the home of the University of Cambridge, founded in 1209 and consistently ranked one of the top five universities in the world. During your tour of Cambridge, you’ll visit King's College, founded in 1441 by Henry VI and is one of the 31 colleges in the University of Cambridge. King's has an outstanding academic record and is also world-famous for its chapel and choir. 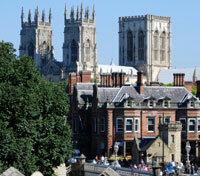 Upon arrival to York, you’ll embark on a walking tour of the city’s medieval alleyways and Georgian avenues. Hear the stories of kings, martyrs and merchants, and see York’s medieval city walls, St Mary’s Abbey and England’s most photographed street, the Shambles. 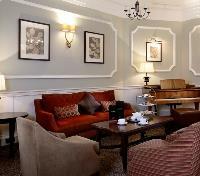 Experience the luxury, opulence and style of the golden age of travel at The Grand Hotel & Spa in downtown York. 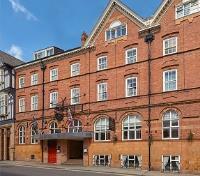 Situated within the old town walls, and housed in the iconic former headquarters of the North Eastern Railway Company, York’s only 5-star luxury hotel offers views of, and walking access to, the River Ouse, and historic York Minster. Stay in one of the 107 elegant guestrooms, experience luxurious Afternoon Tea, sample a taste of Yorkshire fine dining at Hudson’s, and rejuvenate in the serene aura of the spa. History and heritage combine with everything a modern traveler could wish for in this iconic Edwardian building, with The Grand Hotel & Spa offering the very best in traditional English style and service, polished with a friendly Yorkshire welcome. Embark on a full day tour with a private driver-guide, setting out to discover the coastal town of Whitby, followed by a visit to Castle Howard. You'll head northeast, driving through the scenic North York Moors National Park, a place of sheer beauty, shaped by nature over thousands of years, arriving to historic Whitby on the east coast of Yorkshire, former home 18th century explorer Captain James Cook. Take in the views of this town, soak in the fishing village ambiance, and admire sights of the hilltop ruins of Whitby Abbey, a piece of atmospheric inspiration for Bram Stoker's famous horror novel, Dracula. 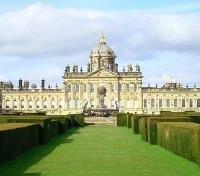 Looping back toward York, you'll head to Castle Howard, to visit one of Britain’s finest stately homes. Built for the third Earl of Carlisle over 300 years ago, the home has remained in the possession of the Carlisle branch of the Howard family ever since. Be dazzled by ornate interiors and world-renowned works of art, and enjoy time wandering the landscaped gardens before returning to York. 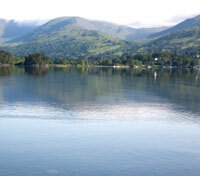 Along with your private driver-guide, and in the comfort of a private vehicle, make your way to Windermere today. 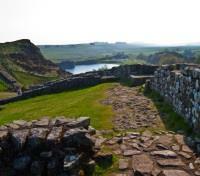 En route you’ll stop to explore a stretch of Hadrian's Wall, an ancient Roman stone fortification, and a UNESCO World Heritage Site. Approximately 1,900 years old, and stretching proudly across 73 miles of Northern England, Hadrian’s Wall is the largest Roman artifact in existence. Just south of Hadrian's Wall, visit Vindolanda, a Roman Army Museum which provides an authentic and dramatic tribute to Rome's extraordinary military legacy. Before continuing to Windermere, you’ll get to visit the nearby Housesteads Roman Fort, where you can wander ancient barracks blocks and hospital ruins. 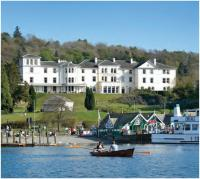 Built in 1845, the Belsfield Hotel sits on the eastern shore of Lake Windermere, in the picturesque village of Bowness-on-Windermere. Set in six acres of landscaped gardens, this 62-room boutique hotel offers contemporary style and comfort for guests, with unparalleled views over Lake Windermere in the foreground, and the Cumbrian Hills further afield. As an AA Rosette winner for its dining experience, the Belsfield Hotel takes pride in its approach to food and drink, from exquisite fine dining, to terrace seating for afternoon lunch and tea, as well as a lounge bar for exclusive drinks. In the company of your private driver-guide and vehicle, discover the Lake District today, renowned for being the 'most beautiful corner of England'. You'll travel over passes, through beautiful valleys, see waterfalls and traditional Lakeland villages, and have plenty of time for stops to admire the views and take photographs along the way. During the course of your day, you'll also enjoy a lake cruise on a shared boat, and head to Keswick for a visit of the 4,000 year old Castlerigg Stone Circle, set high on the fells, with some of Cumbria's highest peaks in the background. Meet your private driver-guide and depart Windermere today for Chester, stopping en route in Liverpool for a tour of the city known globally for being the birthplace of The Beatles. During your tour, take in interesting facts about the band, and see various sites which have a particular relevance to The Beatles, such as Penny Lane, Strawberry Fields, Eleanor Rigby’s Grave and more. You’ll also have the opportunity to see some Liverpool’s historic maritime sites, which are listed by UNESCO as World Heritage Sites. Conclude your day as you arrive to Chester for check-in. Macdonald New Blossoms Hotel is a stylish hotel in the heart of the historic City of Chester, situated on the famous City Walls and near the Eastgate Clock Tower, said to be the second most photographed clock in England. First opened in 1650, you’ll find the 67-room hotel's period charm blends perfectly with modern luxury, creating the ideal environment to relax and unwind. A stay at Macdonald New Blossoms has you wonderfully located to sample all the delights that Chester has to offer, including shopping, nightlife, the famous Chester Racecourse, and historical attractions such as The Rows and City Walls. 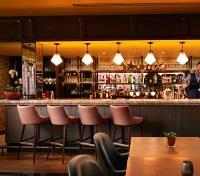 When the day is done, there's no better place for you to retire to than the new Scottish Steakhouse restaurant where you'll dine on sensational food using fresh, quality ingredients, topped off with an excellent wine selection and friendly, personal service. 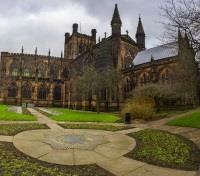 Set out with your private driver-guide to explore Chester on a full day tour. Initially founded as a fortress back in the first century AD, Chester holds the title for several accomplishments, including having the most complete city walls anywhere in Britain, the country’s largest Roman Amphitheater, and also the oldest racecourse. Spot some of the city’s unusual black and white architecture, and visit the Chester Cathedral, with its 11th and 12th century Norman interior. You’ll also have time to shop amidst the 700-year-old shopping rows before your day comes to a close. Enjoy the journey from Chester to Bath today with your driver-guide, making stops along the way at Warwick Castle and Stratford-Upon Avon. Warwick Castle as witnessed many chapters including medieval war, daring knights, plague and disease, state visits and Victorian glamour and wealth. Continue on to Stratford-upon-Avon, a vibrant, compact town, boasting a rich architectural heritage; the list of things to do in Stratford-upon-Avon is as impressive as it is varied. Delightful shops and top-quality restaurants and pubs line the medieval streets, all within walking distance of the scenic River Avon, and surrounded by wonderful Warwickshire countryside. Visit Shakespeare’s birthplace, possibly the most famous and most visited literary landmark in Britain. This is the house where it is thought that Shakespeare was born and spent his formative years. 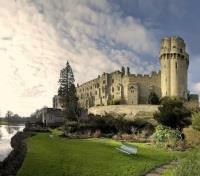 Includes entrance fees to Warwick Castle, Shakespeare's Birthplace. The Royal Crescent Hotel & Spa is located in the center of arguably the world's finest crescent; Bath’s Royal Crescent, designed by renowned 18th century architect John Wood, the Younger. With 250 years of glorious history behind its Georgian exterior, the 45-room Royal Crescent Hotel & Spa offers a haven of elegance and tranquility, just minutes from the historic center of Bath. Why not curl up by a crackling fire and lose yourself in a novel you’ve always been meaning to read, enjoy the sun’s warming touch and relax in the serenity of the glorious gardens for Afternoon Tea, or nurture both body and soul and plunge into tranquility with a visit to The Spa. From the Executive Head Chef to the knowledgeable Sommelier and highly experienced concierge, this remarkable, professional and dedicated group of people will be sure to make your experience at Royal Crescent Hotel & Spa, spectacular. Meet your private driver-guide, and set out on a full day excursion today, first visiting the medieval city of Wells, returning to Bath afterward for a walking tour through the picturesque city. 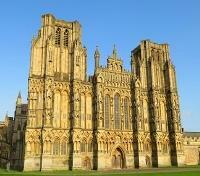 In Wells, England’s smallest city, you’ll tour the impressive 13th century Wells Cathedral, considered one of the most beautiful churches in Britain. The adjacent Bishop’s Palace and Park contains the set of springs which gave Wells its name centuries ago. Also check out Vicars’ Close, the oldest intact residential street of Europe. Return to Bath, admiring landmarks like Bath Abbey, a stunning Gothic church with history dating back to the 7th century. 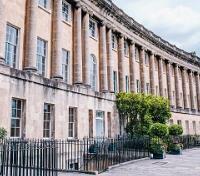 Marvel at the magnificent 18th century architecture of Royal Crescent, with a uniform Georgian façade designed by John Wood, the Younger. Visit the Roman Baths and Temple complex, providing you with access to four main features: the near 2,000-year-old remains of the Temple of Aquae Sulis, the Roman bath house, the Sacred Spring (the only hot spring in Britain), and a well-presented museum of artifacts found at the site. The Roman Baths are situated below street level of modern Bath, and other Roman ruins stretch out beneath the city in all directions. Leaving Bath today with your private driver-guide, you’ll tour the Cotswolds en route to your accommodation this evening in Minster Lovell. The Cotswolds, an area of outstanding natural beauty, is characterized by picturesque medieval towns and villages with thatched roofs and distinctive yellow limestone. Take your walking shoes and explore some of the many short hikes across the rolling hills, and along the 102-mile Cotswold Way trail, or tour the villages, perhaps opting to eat in a traditional pub and enjoying afternoon tea in an authentic Cotswold tea shop (not included). The larger market towns and villages of the Cotswolds, such as Stow-on-the-Wold, Cirencester, Chipping Norton and Tetbury, are famous for their shops. 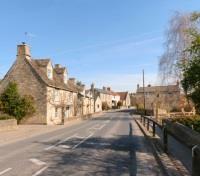 Maybe you’ll happen upon a hidden gem, a village off the beaten track such as Painswick, Biddestone, Winchcombe or Woodstock, or an unspoiled historic church, such as at Northleach often called the “Cathedral of the Cotswolds” – open the church door and you’ll discover a hidden world of history. 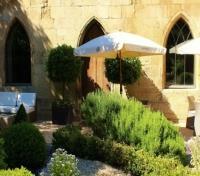 The luxurious Old Swan & Minster Mill couldn't be more quintessentially English. At the heart of the Minster Lovell village, and with a history going back almost 600 years, this is the perfect spot to escape the city and explore the Cotswolds. Located just fifteen miles from Oxford and eleven miles from Blenheim Palace, the Old Swan & Minster Mill is peacefully nestled in acres of idyllic countryside. The traditional stone-built Old Swan is comprised of 15 charming guestrooms and suites epitomizing the classic beauty of a rural inn, while its modern counterpart, the adjoining Minster Mill, features 37 guestrooms with more of a contemporary, Scandinavian style. Seamlessly blending the rural charm of these historic buildings with modern design, luxurious comfort and delicious menus; this is the promise of the Old Swan & Minster Mill. 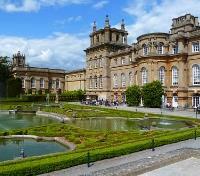 Today you'll visit Blenheim Palace and the city of Oxford with your private drive-guide. Experience Blenheim Palace, a UNESCO World Heritage-listed Baroque manor house where Sir Winston Churchill was born. Feel like a noble as you delve into the history of the 18th-century manor house, getting up close to priceless works of art and tapestries as you explore the opulent chamber, and wander the stunning park and gardens. 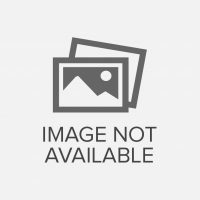 After, visit renowned university town Oxford, known as the “city of dreaming spires”, home to the world's oldest English-speaking university, Oxford University. Tour the medieval city and enjoy a visit to Christchurch College, a unique institution, and one of the largest colleges in the University of Oxford. 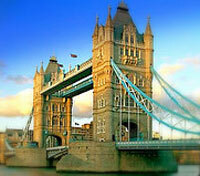 Depart with your private driver-guide from Minster Lovell to London Heathrow Airport today. Approximate drive time is 2 hours.